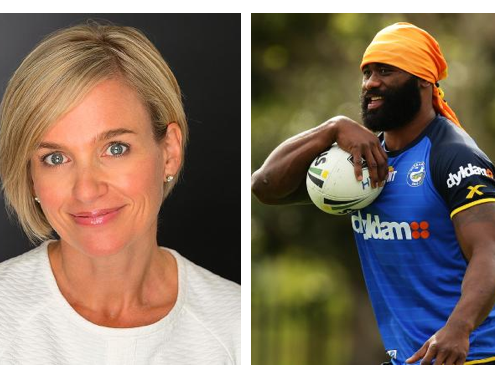 LOGIE winner Rachel Friend has emerged as the surprise person working behind the scenes to help Eels cult hero Semi Radradra adjust to life in front of the camera. 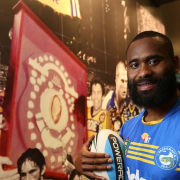 Radradra broke Parramatta’s try-scoring record last year, and his blazing start to this season has ensured he’s been in hot demand with all media outlets. He did three separate interviews with Channel 9 alone after he terrorised the Bulldogs last Friday night. 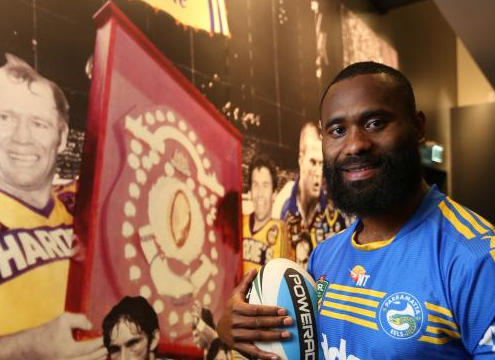 Radradra has become one of the game’s real stars. While no rival player can spook Radradra, anyone holding a camera or microphone clearly can. He isn’t alone. And that’s how Friend and her PR company, Mediafriendly, were first introduced to Radradra. Friend, who took out the Most Popular Actress gong at the 1990 Logies, and also worked as a journalist, said Radradra had improved from the time she first met him a couple of years ago. They worked together a few times over the summer. “He was very shy and unsure of himself, and English wasn’t his first language, so he was a bit self conscious,’’ Friend told Sports Confidential. Friend has worked with other NRL clubs in the past, including South Sydney, but stopped short of saying Radradra had converted her to cheer for the Eels. Radradra still has plenty of work to do. He has made an effort to elaborate on his answers during a couple of recent print interviews. He’s more than happy to keep putting in the hard yards, especially given the outside interest won’t die down any time soon. 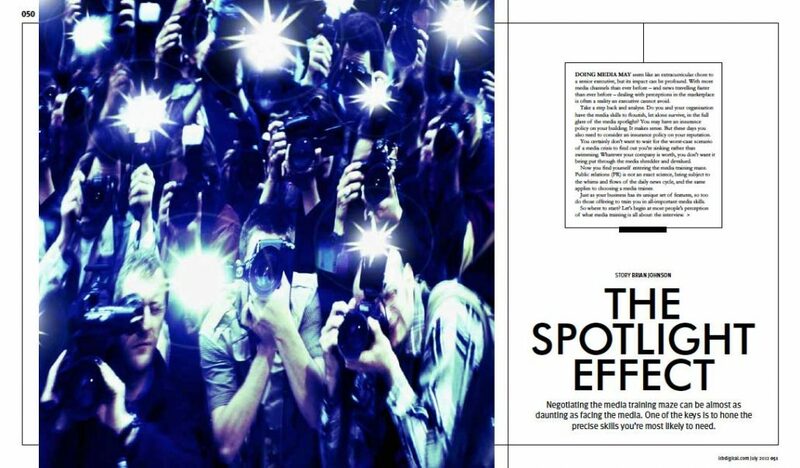 Mediafriendly featured in Human Capital magazine. www.hcamag.com I was asked to comment on communication skills in the workplace, the role of social media in office communication and the importance of personal brand. In an age of instant communication, why is it that business leaders still often fail to get the message through to those who most need to hear it? “We weren’t told anything”, “I was the last to know…” How often are those phrases heard when it comes to significant events at work? 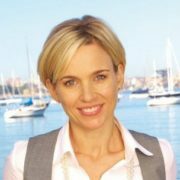 Human Capital asks Rachel Friend, founder of media training and coaching company Media Friendly, about how to do it better. Friend, a 20-year veteran of the media industry, has worked as a reporter, producer, host and journalist (and an actor prior to that). In that time she has gained some valuable insights into how great leaders communicate, the tools they use, and how they’ve crafted unique but effective personal brands. Human Capital: The key word in so many business situations – from mergers and change management to downsizing – is communication. Yet it seems many business leaders struggle with effective communication. What’s your experience? 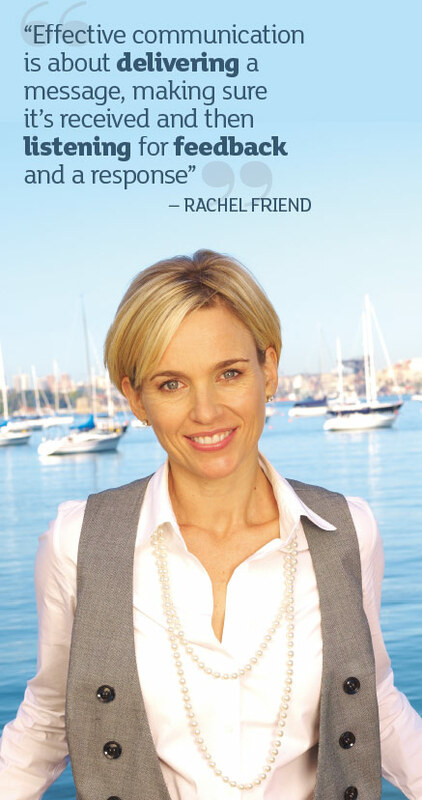 Rachel Friend: There are endless studies to show the value and importance of effective communication in the workplace but in the end I think it’s just common sense. Most of us find any kind of change unsettling. 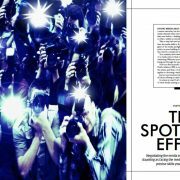 Who enjoys being kept in the dark when there are whispers of redundancies, mergers, takeovers or downsizing? While these conversations might be difficult I’d argue that failing to communicate puts the business at much greater risk. In troubled times people look for a ‘captain’ to steady the ship. Great business leaders will keep their staff’s trust by sharing information. Great business leaders will also listen, empathise and where appropriate act on information they receive in return. Autocratic leadership generally leads to low staff morale, poor efficiencies and high staff turnover. It’s hardly rocket science so I’m always puzzled when I hear of business leaders who fail to prioritise good communication. HC: What does effective communication mean in 2012? With so many communication channels now available is the autocratic communication style of the past no longer suitable? RF: I don’t think the essence of really good, effective communication has changed. While today’s business leaders can use tools like Skype and even social media platforms like Twitter and Facebook to communicate, in the end effective communication isn’t about ‘telling’. Effective communication is about delivering a message, making sure it’s received and then listening for feedback and a response. A business leader can have all the tools this modern world provides and yet still communicate in a very autocratic way. It’s disappointing, but how many employees continue to learn about job losses, redundancies, M&As from journalists? HC: In your consulting, what areas do you work most on when it comes to workplace communication? Is it the tools used? Or the way in which information is conveyed? RF: It sounds really simple but often it’s just helping a client think about the objective or the point of the communication. What are they trying to communicate? If it’s a presentation then how would they like their audience to feel or think or act? If they’re presenting or responding to a hostile audience then how do they best engage that audience? How do they answer questions without appearing defensive? The tools – PowerPoint, visual aids or even learning how to tweet or blog – come later. The message and the sentiment with which it’s delivered needs to be right first. HC: Often HR professionals have ‘communications manager’ tagged onto their job title. Are they a conduit between management and employees? RF: From an ‘outsider’s perspective’, given I’ve never worked as an HR professional, I think HR executives now have a bigger role to play than ever in corporate communications. It would seem to me that a big part of their job is ensuring information is shared both ways between management and employees. But now it would appear that HR is also expected to play ‘gate keeper and referee’ across outgoing communication in the form of complaints, conversations and commentary made by staff on platforms like Twitter, Facebook, tumblr, etc. They are an important piece of the communication puzzle. HC: You advise on building and enhancing personal brands. What does a personal brand consist of? RF: To me personal brand means having a really distinct identity. It’s about taking some time to think about your values, your goals, your likes and dislikes so that the people around you understand what you’re about. I think having a strong personal brand helps us stand out from the crowd. It’s about a strength of conviction and a self-confidence – but please understand it doesn’t mean you need to be the loudest person in the office or the funniest person in the bar. You may love needle point, or ancient history or aspire to sail around the world. It doesn’t matter, so long as you are authentic and genuine. HC: Why do personal brands matter in the corporate world? Does this link back to how we communicate, how we convey ourselves? RF: I think having a strong sense of personal brand helps us to build new relationships. It’s what will differentiate you from the next person. It can also go a long way to helping our colleagues understand us and relate to us. How much easier is it to communicate with a colleague or business associate if you know a little bit about them – their interests, their goals, their business style? Think about all the time and money sporting teams invest in boot camps and bonding sessions which are designed to help team members understand each other better. The best teams are made up of individuals who respect each other’s differences and yet unite and work together for that common goal. HC: How do you advise people around their brand? Can you give me an example of where someone might need a ‘brand overhaul’? RF: I think it’s important for anyone, no matter where they sit on the corporate ladder, to spend some time developing their own personal brand. It really forces you to look in the mirror and think about exactly who you are, where you are going and what you’d like to be. More specifically I’ve coached clients who’ve wanted to improve their interpersonal skills and make a stronger impression when meeting new people. These clients recognised that they needed to work on building a stronger identity. Another example was a client who had been given a big promotion but was having trouble convincing his colleagues he was no longer a university graduate and was worthy of being included on the leadership team. In his case he needed to look, feel and act like a leader. Yes, I guess he needed a rebrand!